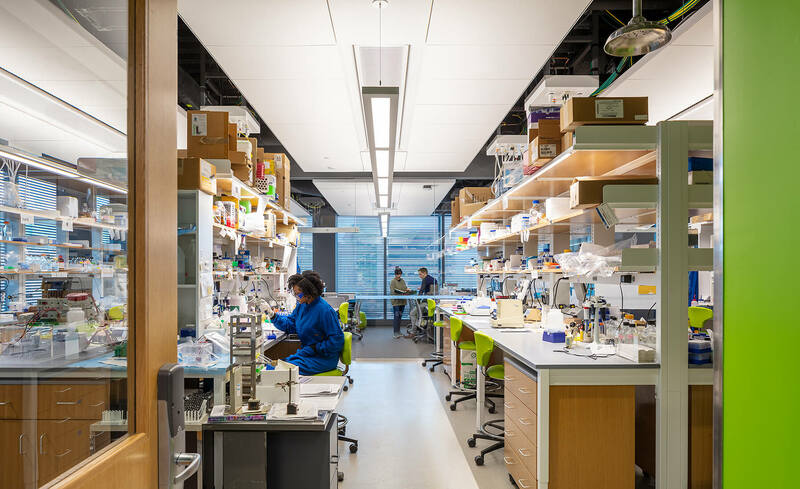 Over the last decade, Northeastern University’s profile as a premier research institution has been on the rise, requiring new facilities to attract world-class researchers. The Interdisciplinary Science and Engineering Complex (ISEC) is designed to advance the University’s cutting-edge, interdisciplinary approach to global challenges in the areas of sustainability, security and health. 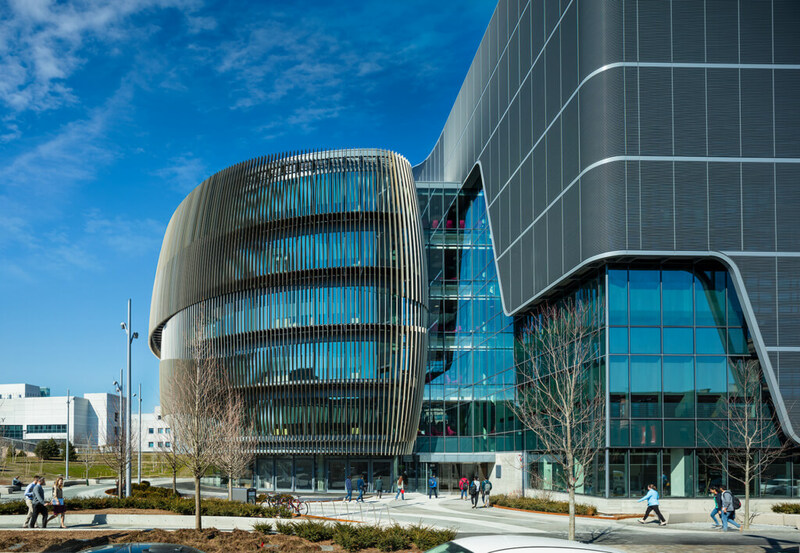 It’s no exaggeration to say that the construction of ISEC launched a new era for Northeastern’s use-inspired research enterprise. As a place for interdisciplinary discovery, the building has been transformational for science and engineering research pursued by faculty and students, representing the College of Engineering College of Science, Khoury College of Computer Sciences, Bouvé College of Health Sciences, College of Arts, Media and Design D’Amore-McKim School of Business. 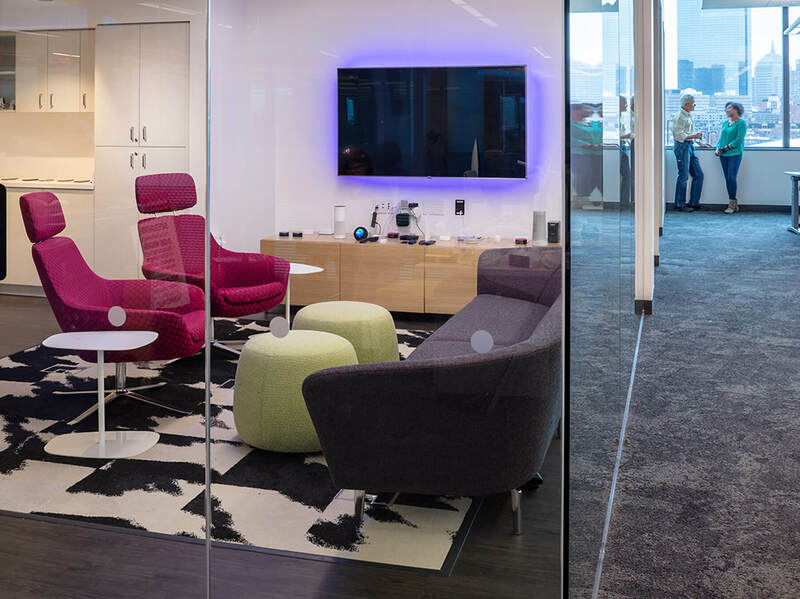 All of the laboratories are organized as a community of faculty neighborhoods surrounding the atrium, replete with nooks and lounges for informal conversation and study. 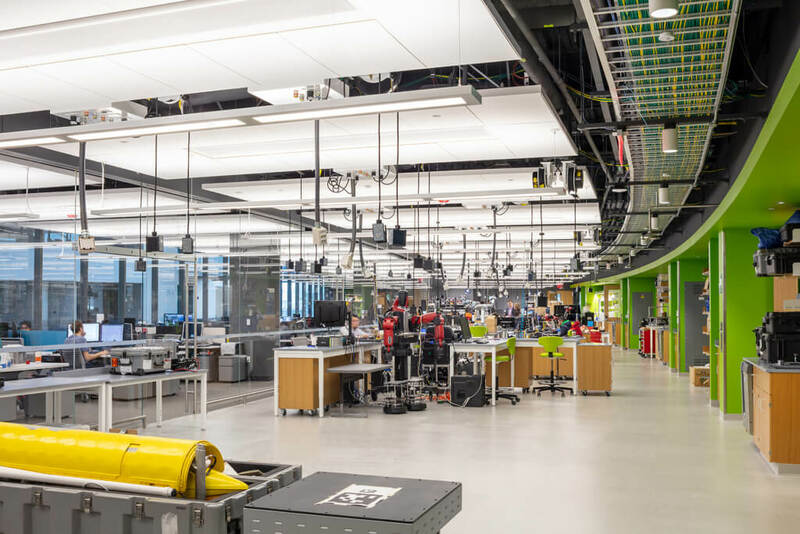 A mix of wet labs, dry labs and computational space on each floor supports interdisciplinary research teams creating the materials, products and technologies our future demands. This research team designs small molecules, the basis of new medicines to treat schizophrenia, among other devastating diseases. Sculpted at the atomic level, these molecules must fit cell targets precisely to avoid causing toxic side effects. Experts in chemistry, pharmacology, structural biology, bioinformatics and other fields assess candidate drugs’ impact in cells, tissues, organs and organisms. The Cybersecurity and Privacy Institute researchers design techniques to safeguard data and strengthen critical wireless and cloud-network infrastructure against threats of hacking, information leaks, data theft and loss of privacy. This cluster is developing initiatives based on interaction with other ISEC clusters including Human-Centered Robotics and IoSMART. Cyber is indispensable—a productivity multiplier too vital to treat as an afterthought. We’re advancing Cybersecurity through groundbreaking, collaborative research. This research group develops robots and assistive devices to empower people. Some machines assist the elderly, improve healthcare or ensure public safety. Others are bound for harsh environments, including the deep ocean. In partnership with NASA, researchers are programming a 6’2” humanoid, Valkyrie, to explore Mars as soon as 2030, ahead of human explorers. 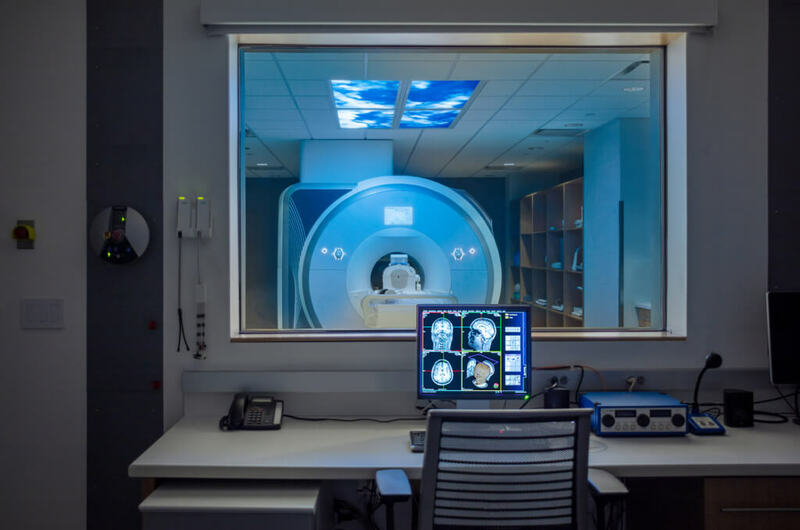 Engineers, chemists, biologists and physicists collaborate closely with exercise physiologists and other medical specialists to analyze how exercise, nutrition, intellectual stimulation and social interaction affect brain development and function. Using virtual reality, computer modeling and neuroimaging technologies—including fMRI—researchers design new ways to measure performance from youth to old age. The Interdisciplinary Science and Engineering Complex represents the most significant expansion of research during Northeastern’s history and provides a home for interdisciplinary academic research.